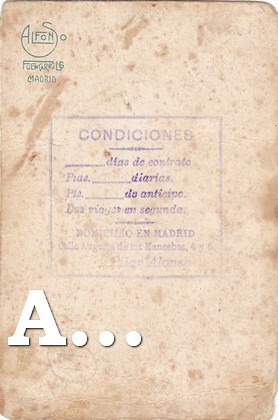 Uno de los fotógrafos más estudiados, con más bibliografía, de estos últimos años es Alfonso Sánchez García que, en unión de sus hijos, va a reflejar a través del Estudio Fotográfico Alfonso, la historia gráfica de España. Las fotos, retratos, de Alfonso se encuentran con cierta facilidad en el mercado, las escenas de género son mucho más escasas y apreciadas. El aprecio de su obra ha aumentado notablemente con las numerosas publicaciones y exposiciones que se están efectuando de sus fotografías. 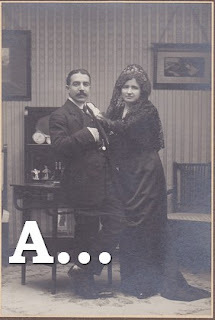 En las fotos anteriores podemos ver la negritud que predominaba en los retratos de boda. Sin embargo, en plena guerra civil, en Madrid encontramos un retrato de boda, espléndido, de estudio Alfonso pero con dirección en Santa Engracia siendo, por tanto, obra de su hijo Luis, lleno de alegría y vida. Alfonso also his sons, Luis and Jose Sanchez Portela. Their matched portraits of study and work as a graphic agency. Since the 20s, Alfonso focused increasingly on business management, leaving the photographic activity in the hands of their children, especially Alfonso, who continued the saga became one of the most important photographers of his time . 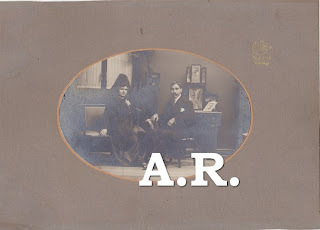 Photographs taken by Alfonso Sánchez García and his sons Alfonso, Luis and Jose Sanchez Portela. 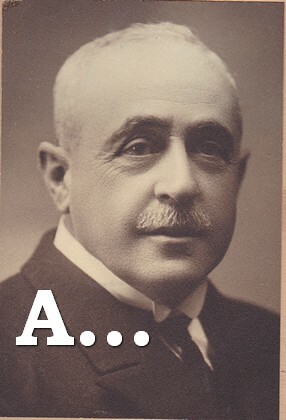 From 1904 until the opening of the study in Fuencarral in 1910, Alfonso Sánchez García set up his laboratory in his home on the street Carretas. 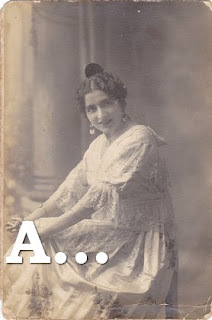 In the 20s his sons Luis Alfonso and become part of the staff of Fuencarral Street Studio. In 1935 the studio on Santa Engracia that, since 1940, Luis Sánchez Portela regentará opens. After the destruction of Fuencarral Street Studio during the Civil War, the study of the Gran Vía, conceived not only as a photography studio but also as a museum, exposing portraits of different personalities was inaugurated in August 1939. ........... Alfonso Sánchez Portela (1902-1990) was one of the greatest figures of twentieth-century photography. Trained in the studio of his father, Alfonso Sánchez García, his camera was able to capture the most important moments in contemporary Spanish history as the War of Morocco, the proclamation of the Republic and the Civil War, and his study spent more characters influential of all times, from politicians to teachers, actors and artists. "Alfonso 50 years of history of Spain" of Publio Lopez Mondejar. Exhibition 50 years of history España.UCLM This photo exhibition curated by Alfonso Lopez Mondejar marked the re-discovery of this great writer's life photographer Spain. Institutional History / Biographical Information: Photographs taken by Alfonso Sánchez García and his sons Alfonso, Luis and Jose Sanchez Portela. Alfonso Sánchez García joins template photographer Manuel Compañy the study in 1987. From 1904 until the opening of Fuencarrar study in the street in 1910, Alfonso Sánchez García set up his laboratory in his home on the street Carretas. At this time it is started in photojournalism working for various newspapers and periodicals. In the 20s his sons Luis Alfonso and become part of the staff of Fuencarral Street Studio. At this time Alfonso Sánchez Portela also begins to cover graphical information for different newspapers. In 1935 the studio on Santa Engracia that, since 1940, Luis Sánchez Portela regentará opens. After the destruction of Street Studio Fuencarrar during the Civil War, the study of the Gran Vía, conceived not only as a photography studio but also as a museum, exposing portraits of different personalities was inaugurated in August 1939. The photographic documentation in Spain. Sphere magazine. Different data on Alfonso as, for example, who led the magazine the Graph where photographers worked as Campúa, Goñi, Amador, Merletti. His pictures contained in this fund.